for her husband for a long time with no luck. asked me to make the same one for her husband. that I love how it fits perfectly in the bag! batting attached on the other side. to something spilling from the bento box. Japan. I miss being there. I've been throwing out here like crazy recently. comes with a strap, making it a wristlet now! to do it with more pouches! I love the lunch bag!! I am bento crazy!! I would also love to make one and you have the most awesome tutorials!! I would love a tutorial! I want a bento! I love bentos so much! I'm voting a big YES for a tutorial. A wonderful gift, and with summer ahead of us in Australia I can see this getting lots of use at our picnics. Your sewing and tutorials are a deligt. Thank you for your generosity in sharing. Very nice, and love tutorials! I would love the pattern for this bag...you are so talented! 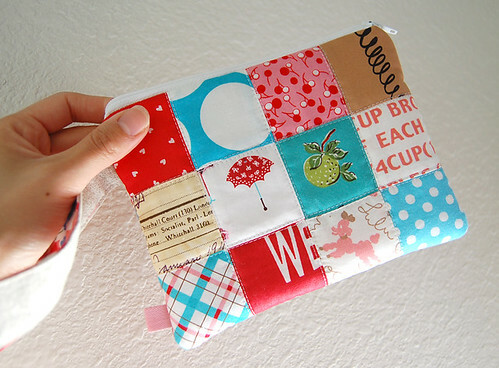 love love all your patchwork pouches. i hope i can get as good as you. absolutely adorable!! I love bento boxes, I just don't have any money to spend on anything right now but it is on my wish list! Lovely bag! Now I really want a delicious bento! 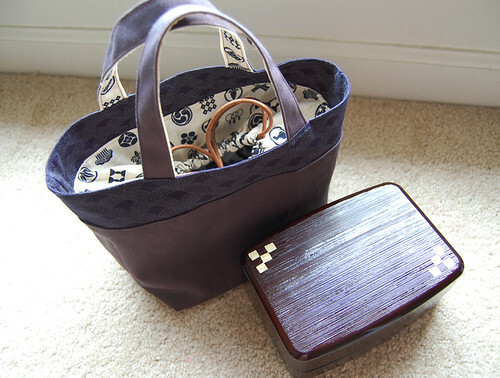 I love this bento bag and I need one for my bento boxes!! Where did you get the vinyl coated fabric? I would love a tutorial on this! A tutorial would be lovely! I just bought bento boxes for my children, but I haven't made lunch bags yet. 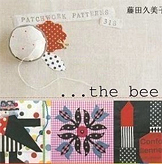 I love your patchwork too! All of your work is very inspiring, thank you for sharing!! Wow thank you everyone for being interested in making the lunch bag! 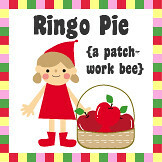 I think how it is now is not so interedting, so I will make the top part patchwork and make a tutorial on it ;) Thank you! Love the lunch bag! I'll be looking forward to another one of your wonderful tutorials - they are always so clear and easy to follow. Thank you for so generously sharing your creations! The bag looks looks great and very practical. I would love a tutorial on this project. I love the Bento bag! :) I love Japanese food.. makes me hungry just to think of the word "Bento" haha. :) Your creations are lovely! I think I will be repeating that a lot on your comments.. I made a drawstring bag from your tutorial, i will share it on flicker! I really hope I get to go!! Great bag - a tutorial for this would be awesome!! PS What is a bento box???? I'm from the UK and I've never heard of them! Yes, love your tutorials, thanks for sharing so much. Your tutorials are always the best! I love your sense of style. I love the way it fits so snuggly- pretty and practical, the best thing! Also liking the wristlet addition- gives it a whole new function x For those new to Bento boxes- take a look on Flickr, so much to see Bento related! A big PLEASE on the tutorial! The bag is just perfect - I adore indigo. I will have to find fabric similar to yours. 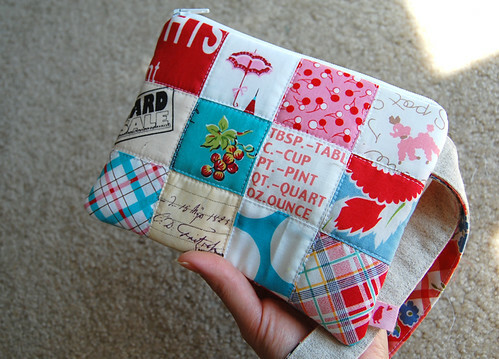 Another yes please for the tutorial - what a cute bag ! I love dropping by every now&then, think you're so creative, and yes, please, a tutorial for this bag. Not that I'll use it for lunches, more like a quiltingbag to take along for the bee. 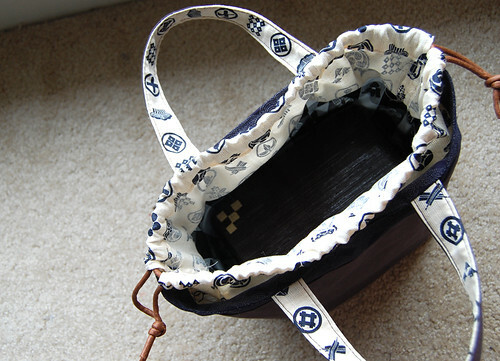 A tutorial for the bento drawstring bag would be great! I love your fabric basket tutorial so I know you can't go wrong. Thank you for sharing, Beatrice. LOVE LOVE LOVE IT! Pleeeeeeeeese write a tutorial! That would be SO awesome! And yes please, We would (I know I would) LOVE a tutorial!!! WoW,amazing bento box bag. 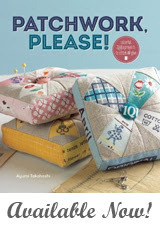 Love the fabrics you picked, Ayumi :) the zipper pouches are very very cute! Super cute lunch bag. I'm going to have to see what a bento box is.